Public: Approximately 14 members of the public. 1. Geraldine Box of North Perth – Item 5.1 - Petition On Behalf of Residents of North Perth Residential Streets. · Spoke in support of the petition, requesting that Council addresses volume and speed on Alfonso, Alma (west of Leake), Camelia, Claverton, Persimmon, Sekem Place and Vine Streets and engages with residents to develop acceptable measures to make these streets safe and more liveable; and the measures developed are included in the next Council Budget round. The Presiding Member Mayor Emma Cole thanked Ms Box for her comments. The Presiding Member Mayor Emma Cole thanked Ms Slythe for her comments. The Presiding Member Mayor Emma Cole thanked Ms Griffiths for her comments. · Requested that the application either be approved or deferred to address the City’s concerns. The Presiding Member Mayor Emma Cole thanked Mr Farmiano for her comments. Council addresses volume and speed on Alfonso, Alma (west of Leake), Camelia, Claverton, Persimmon, Sekem Place and Vine Streets and engages with residents to develop acceptable measures to make these streets safe and more liveable; and the measures developed are included in the next Council Budget round. That the petition be received. That the minutes of the Ordinary Meeting held on 4 April 2018 be confirmed. I would just like to comment on the Anzac Day March and Service on the 25th of April. It was really fantastic to see a great turn out from our Vincent Community. These days, we do seem to attract about 2,000 people to our Vincent Service. It is a great partnership with the RSL and we are seeking more of an involvement from other community groups as well as including our local schools. This year was an important year in our National Commemorative Celebration with this year being our last year of the Centenary of ANZAC, and also it will be the Centenary of Armistice on the eleventh day of the eleventh month. It was a good opportunity for us to learn more about Thomas Leslie Axford, who was our Victoria Cross recipient with this awarded during the Battle of Hamel. This story has really resonated in our community. For example North Perth Primary School contacted us this week for a copy of the speech so they could also talk about Thomas Axford and his connection to North Perth Primary School where his five Children attended. Having a local ANZAC and the story and understanding of the naming of the park has been a nice thing for our community this ANZAC Day. I would also just like to briefly talk about the Mindarie Regional Council Facebook Waste Campaign, which was launched last week. This is a campaign where see through rubbish bins are being rolled out in an effort to spark some conversation with the community about what goes into your rubbish bins and how your waste can be reduced. The launch did attract State wide media and really did get people talking and the thing that I find quite important about this campaign is that it is being run in conjunction with the State Government’s Review of the Waste Strategy with the EMRC calling on the State Government to take a lead in waste education and to release some of the levy funds to do this. There has been a little bit of a blockage shall we say and the Mindarie Regional Council is offering this campaign to the State Government if they wish to take it on in an effort to campaign for better education in and around our waste. I also note that we are calling for entries in our Local History Awards. This year we are having a big focus on the 20th Centenary and to call out not just for photos but for memoirs and to go all the way through to the 1990’s. I think last year we had an entry of two children sitting in a trough from 1983. This week I will be meeting with one of the people that was a child at the time that sat in the trough for a photo to promote the awards so it is just a really great opportunity to not only talk about our history but to really increase the archive of history that we have at our Local History Centre. This Sunday we will again be celebrating the Mount Hawthorn Streets and Lanes Festival happening in and around the Mount Hawthorn Town Centre along Scarborough Beach Road, down Oxford Street and through the surrounding side streets. It is presented by the local Town Team and The Mount Hawthorn Hub. I believe over 70,000 people attended last year and we are expecting similar numbers this year. There are some really great events including street karaoke, line dancing and a really incredible line up of local performers so I hope to see as many people as possible in Mount Hawthorn on Sunday. I also extend a warm welcome to Mayor Camilo Blanco sitting in the public gallery and visiting us from the Town of Port Hedland. 8.1 Cr Hallett declared an Impartiality Interest in item 9.3 - No. 45/87 (Lot: 45; D/P: 65963) Bulwer Street, Perth – Proposed Amendment to Operating Hours of Previous Approval: Change of Use from Office to Eating House. The extent of this interest is that Cr Hallett lives within the consultation area for the application. Cr Hallett declared that he will consider the matter on its merits and vote accordingly. 8.2 Cr Fotakis declared an Impartiality Interest in Item 9.4 - No 34 (Lot: 51; D/P; 2931) Cleaver Street, West Perth, Proposed Four Grouped Dwellings. The extent of this interest is that Trent Durward, speaking on behalf of the applicant is a member of the City of Vincent’s Business Advisory Group, which Cr Fotakis is a member. Cr Fotakis declared that she will consider the matter on its merits and vote accordingly. 8.3 Mayor Cole declared an Impartiality interest in Item 9.5 – Nos. 120 and 122 (Lot: 2; STR: 9055) Summers Street, Perth – Proposed Four Three Story Grouped Dwellings. The extent of this interest is the Applicant, Lesley Thomas provided voluntary campaign assistance for Mayor Cole by leafletting in the lead up to the February 2017 Extra Ordinary Election, as registered in the Gifts Register. Mayor Cole declared that she will consider the matter on its merits and vote accordingly. 8.4 Cr Castle declared a Financial Interest in Item 9.10 – Outcomes of Advertising – Town Centre Place Plans. The extent of this interest is that Cr Castle is currently engaged by Mount Hawthorn Hub to provide graphic design services for the Streets and Lanes Festival. Cr Castle did not seek approval to participate in the debate or to remain in the Council Chamber. 8.5 Cr Murphy declared a Financial Interest in Item 9.11 – Extension to Public Alfresco Permit Timeframe – Leederville Town Centre. The extent of the interest is Cr Murphy received an election related gift from Jason Antczak of the Leederville Hotel during the 2015 Ordinary Local Government Election and he has been engaged by Leederville Connect through his company to deliver the Light – Up Leederville Carnival. Cr Murphy did not seek approval to participate in the debate or to remain in the Council Chamber. 8.6 Cr Murphy declared an Impartiality Interest in Item 12.1 – Asset Disposal – Vincent Community Bus. The extent of the interest is that Upbeat Events of which Cr Murphy is part owner has sourced sponsorship funding from the Bendigo Community Bank on behalf of Leederville Connect for the Light-Up-Leederville Carnival. Cr Murphy declared that he will consider the matter on its merits and vote accordingly. 8.7 The Chief Executive Officer, Mr Len Kosova, declared an Impartiality Interest in Item 13.3 – Resignation of Chief Executive Officer. The extent of this interest is that this report relates to his resignation as the Chief Executive Officer. 8.8 Cr Castle declared a Financial Interest in Item 18.1 – Review of Policy No. 4.2.13 – Design Advisory Committee and Appointment of Design Review Panel. The extent of this interest is that Cr Castle has an indirect financial relationship with one of the applicants. Cr Castle did not seek approval to participate in the debate or to remain in the Council Chamber. 8.9 Cr Fotakis declared an Impartiality Interest in Confidential Item 18.1 - Review of Policy No. 4.2.13 – Design Advisory Committee and Appointment of Design Review Panel. 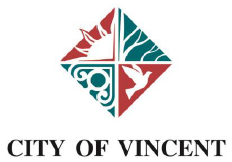 The extent of this interest is that one of the applicants also serves on the City of Vincent’s Art Advisory Group of which Cr Fotakis is a member. The applicant is also a member of Leederville Connect of which Cr Fotakis previously served as a member of the Management Committee. Cr Fotakis declared that she will consider the matter on its merits and vote accordingly. 8.10 Cr Gontaszewski declared an Impartiality Interest in Confidential Item 18.1 - Review of Policy No. 4.2.13 – Design Advisory Committee and Appointment of Design Review Panel. The extent of this interest is that Cr Gontaszewski is a personal acquaintance of one of the applicants of the Design Advisory Committee. Cr Gontaszewski declared that she will consider the matter on its merits and vote accordingly. An Acoustic Report to the satisfaction of the City, which accords with the City's Policy No. 7.5.21 – Sound Attenuation, shall be lodged with and approved by the City prior to the commencement of the development. All of the recommended measures included in the approved Acoustic Report shall be implemented prior to the commencement of the development, to the satisfaction of the City. That Council RECEIVES the Financial Statements for the month ended 31 March 2018 as shown in Attachment 1. That Council NOTES the Investment Report for the month ended 31 March 2018 as detailed in Attachment 1. That Council RECEIVES the Information Bulletin dated 1 May 2018. 3. NOTES that the City will fund the associated costs of approximately $4,000 in accordance with Policy 4.1.15 – Conferences. 2.2 that the approved Local Planning Policy No. 7.5.15 – Character Retention Areas and Heritage Areas, as shown in Attachment 4, will be published and the City will give notice of the Heritage Area designation to the Heritage Council of Western Australia and each owner of land affected by the designation pursuant to Clauses 5 and 9 of Schedule 2 of the Planning and Development (Local Planning Schemes) Regulations 2015. 3. The proposed outdoor living area for Unit B does not meet the Design Principles of Clause 5.1.3 of State Planning Policy No. 3.1 Residential Design Codes as it will not be open to winter sun and does not optimise use of the northern aspect of the site and does not incorporate any other space that has access to winter sun. That the matter be DEFERRED to enable the Applicant to submit revised plans as part of their application. Where conditions have a time limitation for compliance and the condition is not met in the required time frame, the obligation to comply with the requirements of the condition continues whilst the approved development exists. · Measures to be implemented to educate and encourage all staff and members of alternative means of transport to the site including public transport, cycling and walking. That recommendation 1.4 be deleted and the remaining recommendations renumbered accordingly. 2. NOTES that Administration will forward a submission in support of the draft Climate Change Policy Statement to the Western Australian Local Government Association. Cr Castle declared a financial interest in item 9.10 and left the meeting at 7.28pm prior to consideration of the item. 2.2 that Administration will publish a notice of the approval of Volume 1: Vincent Town Centre Place Plans and Volume 2: North Perth Town Centre Place Plan, included as Attachment 4 and Attachment 5, on the City’s website and social media platforms and will notify all town teams and those people who made submissions on the documents. At 7.34pm Cr Castle returned to the meeting. Cr Murphy declared a financial interest in item 9.11 and left the meeting at 7.35pm prior to the consideration of the item. That Council GRANTS a Permit to Conduct an Outdoor Eating Area in the public alfresco area in part of the existing Leederville Taxi Zone, as shown in Attachment 1, up until 16 October 2018 including a condition that requires the area to be open to the general public who are over 18 or under 18 but accompanied by a parent/guardian, in addition to patrons of the permit holder, at all times. At 7.38pm Cr Murphy returned to the meeting. 2. ADVISES the North Perth Bendigo Bank of the City’s intention to dispose of the Vincent Community Bus through public auction and provide all relevant auction details to ensure they have the opportunity to participate. 3. NOTES that Administration will present a further report to Council detailing any submissions received during the public notice period before agreeing to dispose of the Vincent Community Bus. 2. 4. ADVISES the North Perth Bendigo Bank of the City’s intention to dispose of the Vincent Community Bus through public auction tender and provide all relevant auction tender details to ensure they have the opportunity to participate submit a tender. 3.2 Recommend a process for the selection of a CEO for endorsement by Council. Cr Castle declared a financial interest in item 18.1 and left the meeting at 8.15pm prior to consideration of the item. Cr Fotakis left the meeting at 8.15pm prior to consideration of the item. At 8.15pm the meeting went behind closed doors and live streaming was stopped. At 8.18 pm Cr Fotakis returned to the meeting. 4.2 Administration will notify all applicants of the Design Review Panel appointments and induct the successful candidates onto the Design Review Panel. That the Council resume an “open meeting”. At 8.27pm Cr Castle returned to the meeting. These Minutes were confirmed by the Council as a true and accurate record of the Ordinary Meeting of the Council held on 1 May 2018.